As I mentioned in a previous post, Eva Longoria graces the cover but ya girl (Me) is featured in page 32 of the same magazine! 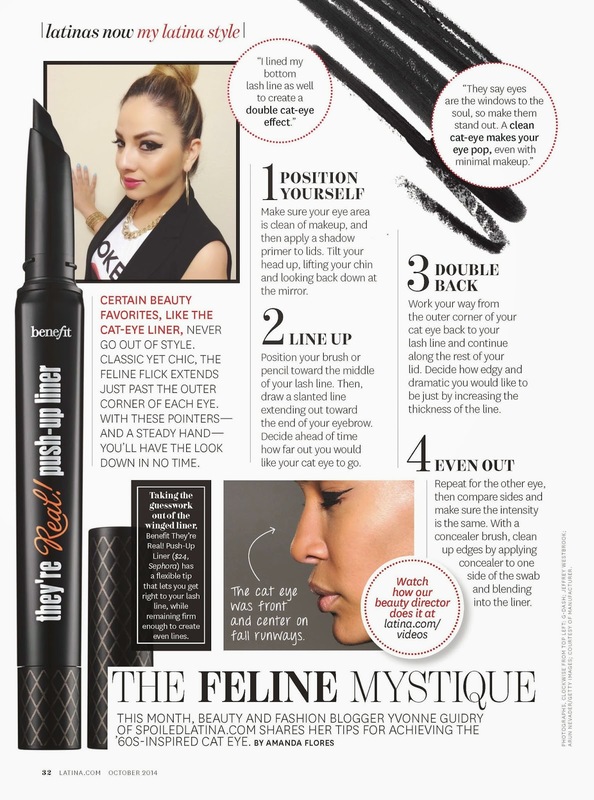 One of my all time favorite eye make up applications is the cat eye. I just started using the Benefit push up liner and I love it! Must haves for the fall or if you're like me, all year long. Anthony was about 3 months here... but my eyes! This was for an ad I did a few years ago. Latina Magazine, October 2014 issue out now! !